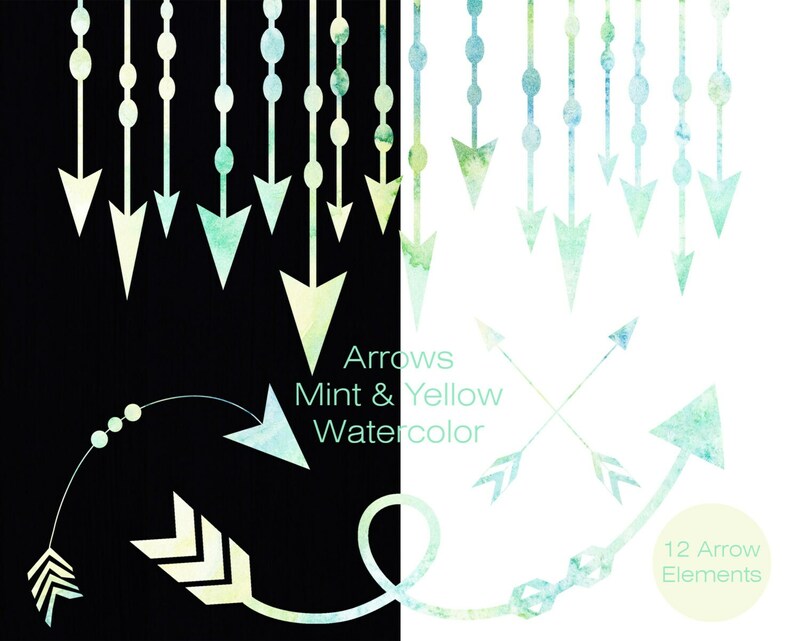 MINT & YELLOW WATERCOLOR ARROWS DIGITAL CLIP ART - IN PRETTY YELLOW & MINT WATERCOLOR TEXTURE - TRIBAL ARROWS CLIP ART. 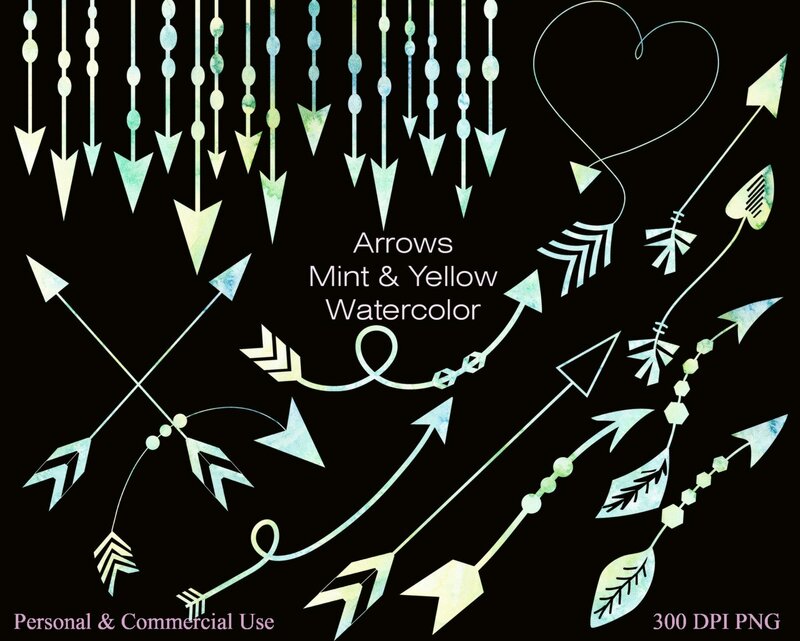 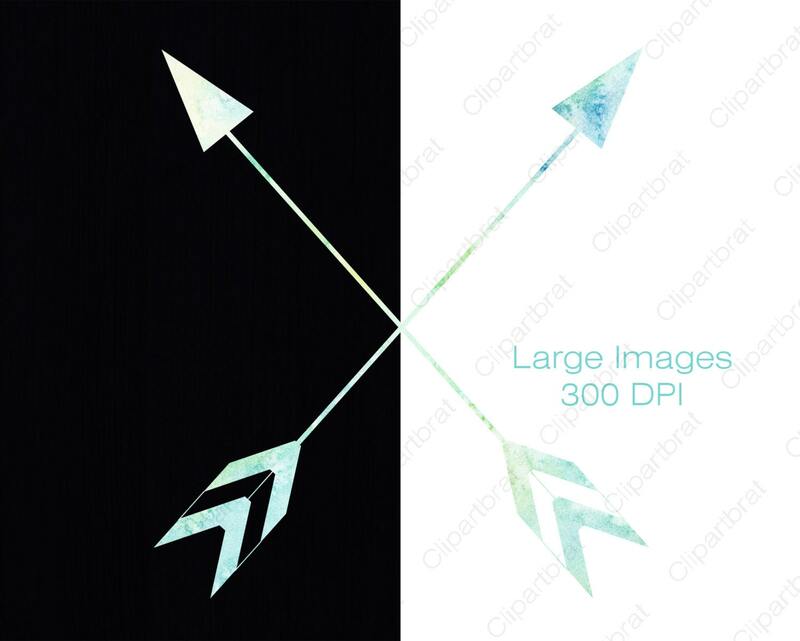 COMMERCIAL USE YELLOW & MINT WATERCOLOR ARROWS CLIP ART! 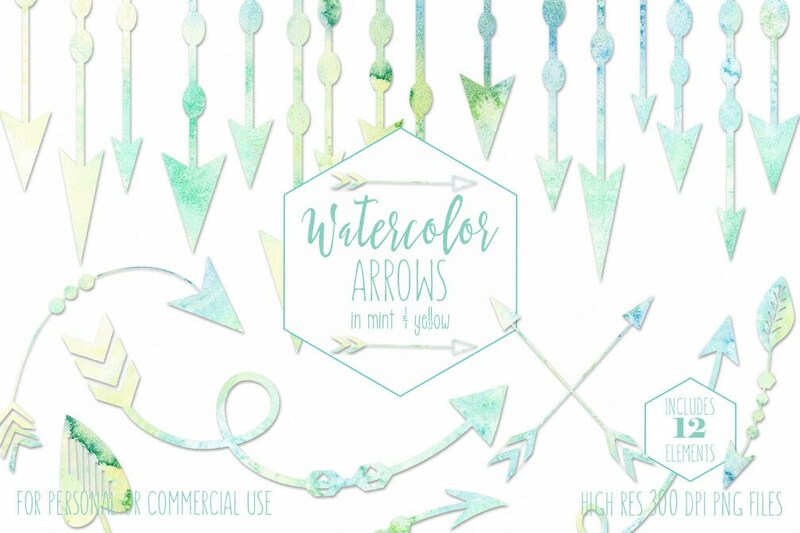 Have fun creating with this Set of YELLOW & Mint WATERCOLOR ARROWS DIGITAL CLIP ART! 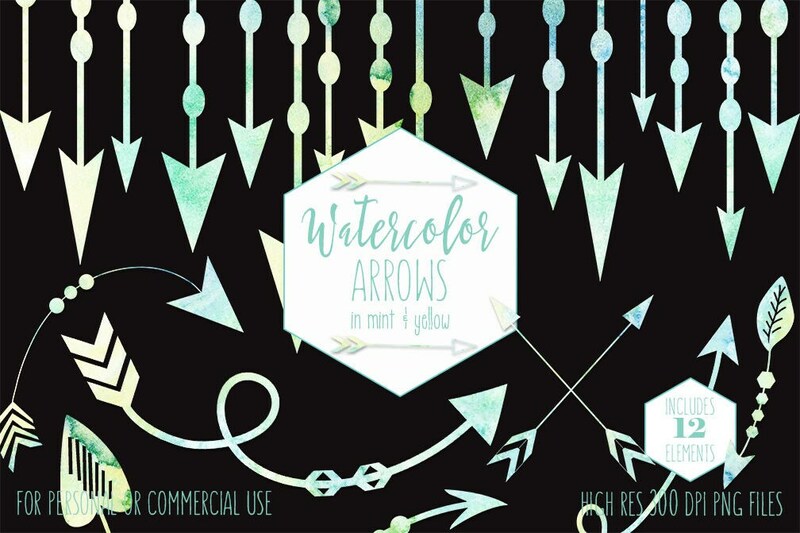 - PERSONAL & COMMERCIAL USE YELLOW & MINT WATERCOLOR ARROWS CLIP ART - Perfect For Digital Scrapbooks, Printable Scrapbook Elements, Planner Stickers, Invitations, Logos, Websites, Party Supplies, Birthday Invitations, Stationary, Printables, Cards, Wall Art, Altered Art, Card Making, Wedding Supplies, Jewelry making, Yellow & Mint Watercolor Arrows, Frames, Borders, & More!